Basketball was again the most successful sport at the university as LSBU advanced to 5th place nationally from 8th in last year’s table. 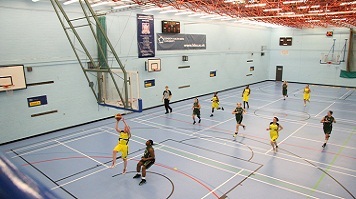 LSBU retains the crown of possessing the best university basketball programme in London and the South East. Badminton, American Football and Futsal (a variation on five-a-side football) also strongly contributed to the success with their results assisting the university in improving its overall standing from 99th place to 94th of the 145 universities and colleges in the BUCS points league. If you are a student and are looking to contribute to the sporting success of the university, contact sports@lsbu.ac.uk or call the Academy of Sport on 020 7815 7812.